A big Congrats is in order for Suzanne Carey and Sean "the Silent Funneler" Connors on their engagement. 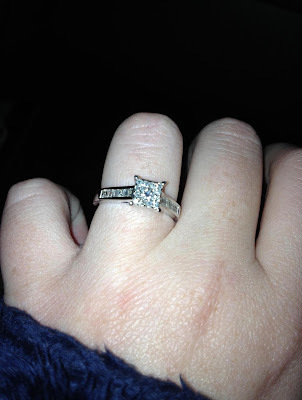 On a Saturday night filled with romance and naughtiness, Sean popped the big question. Little Suzy could not say yes fast enough. Rumors are flying that Ella may have a cousin on the way!! YIPPEEEE! Disney here we come. Princess cut is all the rage right now.